New York. Riverhead Books. 2019. 640 pages. Fantasy, as we’re familiar with it in the global genre market, is a primarily Western-centric affair shaped by the writing of white men with many initials—J. R. R. Tolkien, C. S. Lewis, G. R. R. Martin—and circulated further through successful film and TV adaptations. (China, too, is a major player in fantasy, but its texts have had little influence outside the sinophone world.) 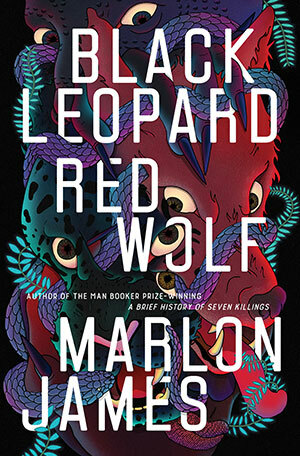 Decades of arguments about what constitutes fantasy aside, there is no doubt that fantasy is a matter of great importance to world literature and culture and that fantasy from the postcolonial world has tended to be received in the literary market under the name “magical realism.” Jamaican writer Marlon James’s Black Leopard, Red Wolf is not magical realism. Winner of the 2015 Man Booker Prize for his historical novel A Brief History of Seven Killings (about Jamaica, reggae, and the geopolitics of crack in the 1970s–1990s), James has written a work of epic fantasy that draws on African stories and traditions, on the textual and material worlds of sub-Saharan Africa, and on a century of literary, generic, and popular-cultural influences to bring a bold, violent, and challenging world to life. Black Leopard, Red Wolf tells the six-hundred-plus-page story of Tracker and his search for a missing child with a company of adventurers (friendly and otherwise), including the werecat Leopard, the giant Sadogo, and the witch Sogolon. In response to James’s “experiment” slumming with epic fantasy, critics have repeatedly (and happily) cited similarities with Tolkien, Martin, and Robert E. Howard (creator of pulp fantasy hero Conan) and noted that James brings his literary flare for experimentation, poetic language, and the vulgar grittiness of reality to their fantasy worlds. They aren’t wrong, but the discourse is telling. 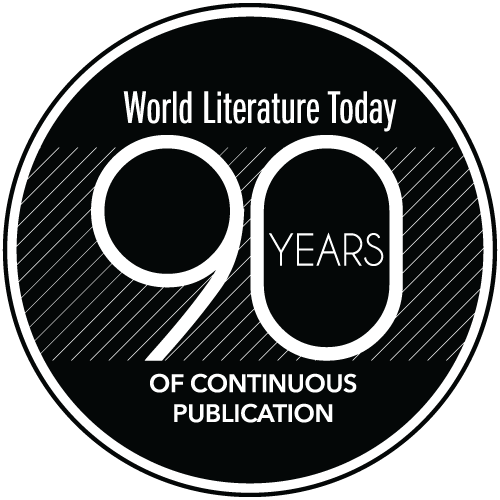 James’s success setting the literary world abuzz about a fantasy novel, of all things, suggests what many have long known: in some ways, the old boundaries between genre and literature have become more fluid; in others, they have become more rigid. Repeated comparisons to Tolkien, Martin, and Howard betray a shallow understanding of contemporary fantasy and ignore the lengthy history of Afrofantasy that has run parallel to the now-popular Afrofuturism. What’s more, James’s novel fits best with the hope-effacing tone of grimdark, though even there it is somewhat out of place, proffering a sly, self-besmirching nihilism in place of grimdark’s typically bleak one. In this fantastic Africa, Tracker and Leopard at times seriously proclaim, and occasionally mock, their shared motto that “nothing means nothing, and no one loves no one.” Only, in the language of James’s novel, nothing and no one are not negations of something and someone but rather things unto themselves. Tracker and Leopard trade this motto, use it as proof of life’s grimness, but also know that it is ultimately tautological and self-referential: no one, a man without a name, loves no one—either himself, or another man without a name, another no one. If Tolkien set out to create a mythology for modern Britain (though it already had one), James has done the same for the African diaspora. Or perhaps it’s better to say that he has taken the cultural, linguistic, and textual influences of Africa and of black peoples’ experiences in the diaspora and shaped a world of fantasy that shies away from the ideological one-sidedness of earlier, similar attempts at writing “African” fantasy in the diaspora. Black Leopard, Red Wolf is thus entirely unlike Charles Saunders’s Imaro (1981) and the resulting “sword and soul” literary movement, which translated the ideological values of Howard’s Conan, particularly of masculinity, into the stories of griots. In James’s novel, rather, Tracker is the griot, not its mythologized subject. But he is unreliable, and his first-person testimony to the reader meanders across his personal history, lingers where he pleases, and refuses to conform to “our” world. James, here, might then best be compared to N. K. Jemisin, Nalo Hopkinson, Kameron Hurley, and Jack Kirby. As in his earlier novels, James extends his stories beyond mere narrative to capture the breadth of his world, which draws as much on the great African works of oral poetry, the Songhay Epic of Askia Muhammad and Malinke Epic of Sundiata, and on African fantasy like D. O. Fagunwa’s Forest of a Thousand Demons (1938) as it does on the influence of Western fantasy. Black Leopard, Red Wolf sprawls across its imaginary Africa and the timeline of Tracker’s life, enworlding the reader, who is expected to learn this world’s ways, to parse the African or African-inspired names of objects, concepts, places, people. It is the kind of book that will no doubt inspire online concordances and spark decades of source-text study, as Tolkien’s Legendarium did. But it is its own beast, and I am happy to have met it.